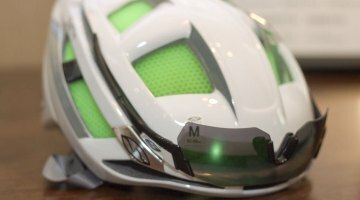 The last time we caught up with SUGOi, the company showed off its Zap Bike Jacket, a high visibility cycling jacket without the glaring hi-vis colors. 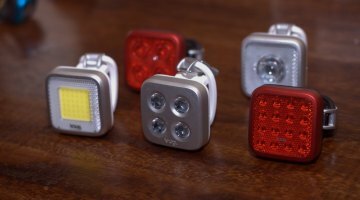 Since then, they have expanded their Zap line to include accessories such as Zap socks, bags and even helmet covers with the same bead design that reflects light in uniform and visible patterns. While the folks at SUGOi have tackled the dark, this year at Press Camp, SUGOi introduced the upcoming clothing line seeking to increase comfort while combating both the hot and cold weather conditions. Front and center in their display room was their latest in chamois technology, the Formula FXE. 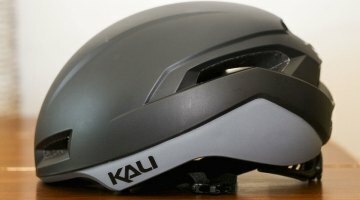 You might have noticed that the model above looks more “cupped” than the usual chamois, and with good cause. SUGOi has spent countless hours in the saddle and nearly as many prototype renditions to get the combination of their 3-D molded Formula FXE just right. 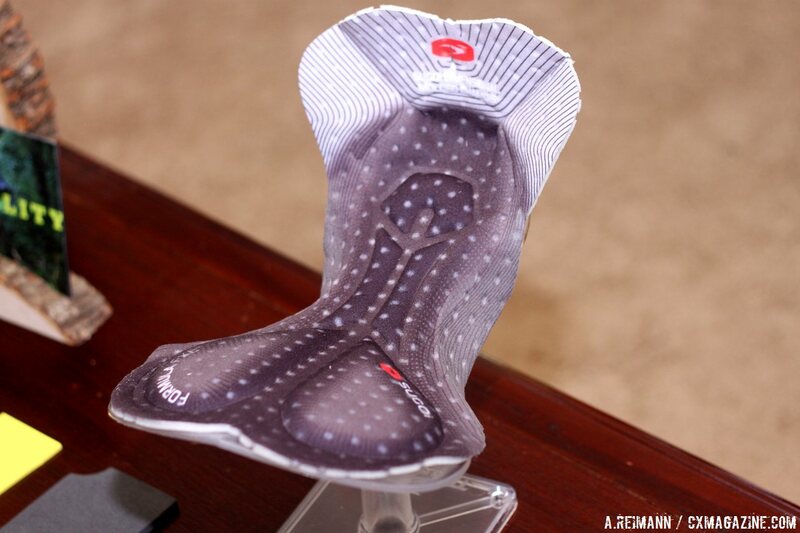 The front of the chamois includes a proprietary design they call the Cradle, which they say reduces restrictive movements and relieves pressure. Likewise, the 3-D molding process reduces the bunching so common with 2-D patterned chamois. The starry-night look of the model is intentional, as dye holes are included in the chamois to increase the material’s breathability. The rest of the material includes a four-way stretch fabric that moves with the skin along with a Poron foam layer near the sit bones to perform the “heavy-lifting” duties to keep the areas comfortable that take on the most weight. A little apprehensive of trying a new chamois? SUGOi understands, and starting this year, the company has a 60 Day Comfort Guarantee with the option of a full refund or exchange for customers who don’t think the design is comfortable. The Formula FXE chamois will be incorporated in SUGOi’s RSE (Race System Elite) bib shorts, which retail for $240. 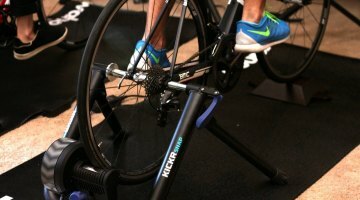 Other products include the RSE cycling jersey, which is designed for the scorching rides like mid-summer gravel rides or the grueling September cyclocross races. SUGOi had a goal to reduce the weight of their jerseys, although they admitted not trying to make the lightest jersey ever, because they still wanted to offer sun protection and other features. The RSE has the back pockets, including one bonded pocket with a waterproof pouch. The jersey might be a race-day only jersey if you find yourself hitting the ground a few times during Wednesday Night Worlds as SUGOi is truly moving to the high-end spectrum with their RSE line. 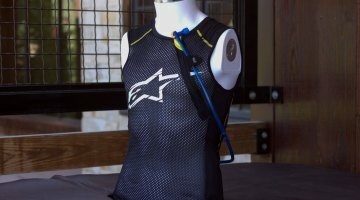 The RSE cycling jersey retails for $220 and weighs 140 grams. 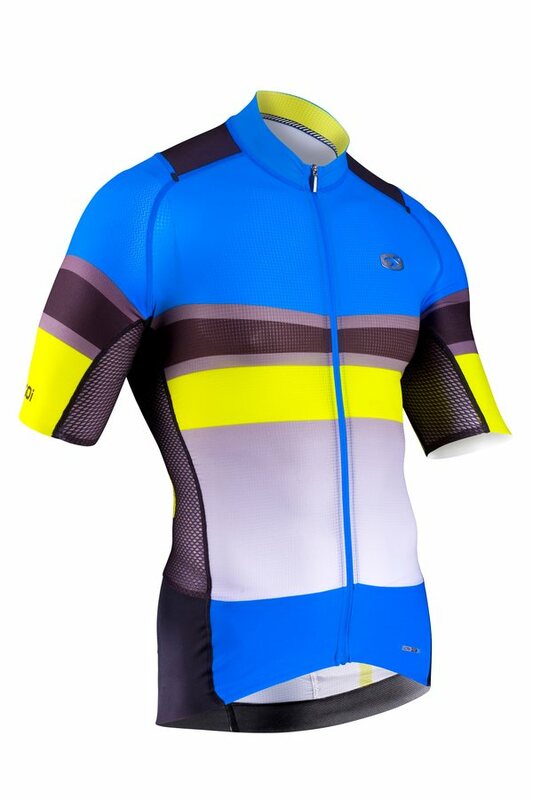 The Climbers Jersey is a little less in price at $120, and transfers the mesh of the RSE to the full front of the jersey and incorporates the company’s ICEFIL technology, which are fabric panels across the side and back that are designed to offer UV protection from the sun. The neckline is reduced to allow the neck to breathe in the wind. Like the RSE, the Climbers Jersey is available in five sizes, from Small to Extra-Large. 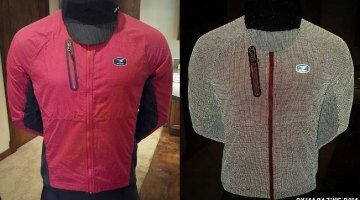 RSE Alpha Jacket continues on what its Neo-Shell began: “Waterproof but breathable.” The jacket seeks to keep riders warm during the wintertime, with a puffy fabric on the front, back and arms, matched with a mid-zero fabric on the sides for maximum breathability where riders sweat the most. The goal of their winter jacket is to keep riders warm without containing sweat. The RSE Alpha Jacket includes several pockets in the back as well as an offset zipper to avoid pinching the chin.